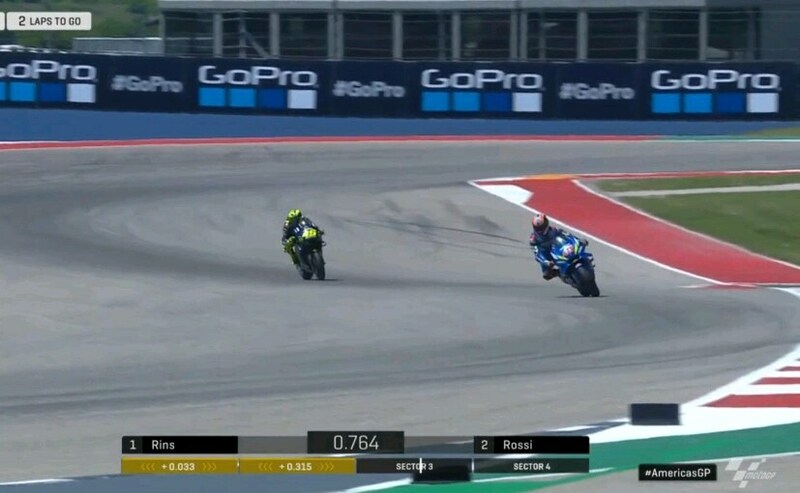 Suzuki rider Alex Rins took his first MotoGP victory in the 2019 MotoGP Austin Grand Prix at the Circuit of the Americas (COTA). The rider showed incredible pace in the closing stages of the race as he battled for the top spot with Yamaha's Valentino Rossi in what was a thrilling duel between the riders over the last 10 laps. Coming in third was Jack Miller of Pramac Ducati picking up his first podium finish of the season as well. The race, however, ended up in a disaster for Honda which lost both of its riders Marc Marquez and Jorge Lorenzo, the former crashed while in the lead. Pole-sitter Marc Marquez led the race from the start and seemed to have another win to his name continuing his unbeaten streak of six wins at COTA. The rider had built an impressive lead of over four seconds over the next contender Rossi, while Rins and Pramac Ducati's Jack Miller and Factory Ducati rider Andrea Dovizioso were at a distance at the back. 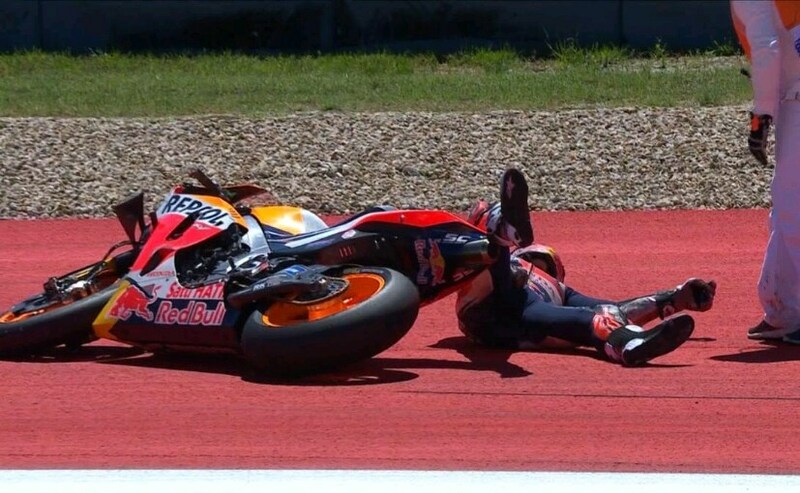 However, Marquez crashed at Turn 12 on Lap 9 and couldn't save this one as he slid off the track from the lead. The rider tried to get back on his bike again but could not restart his Honda again despite repeated attempts, ending his incredible record and winning hopes at Austin. The incident promoted Rossi to the top spot with Rins moving up to P2 with 12 laps to go. The latter was closing in the Italian racer as the race progressed and was just 0.582s behind the Yamaha with 10 laps to go. Rins though was determined to claim his first ever win in MotoGP and passed Rossi on Turn 7 of Lap 17 to take the lead. 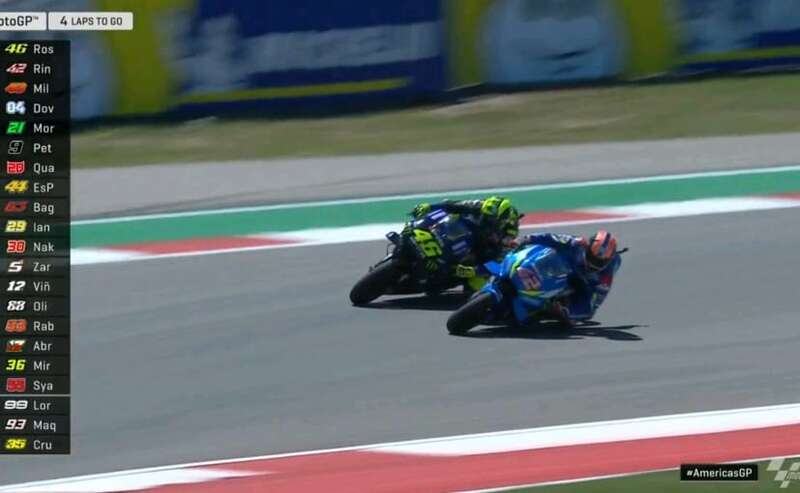 The battle for first intensified between the riders as Rossi passed the Suzuki on Turn 12 but ran wide on the following corner allowing Rins to retake the lead. The Suzuki rider managed to do defend his fabulously over the Italian ice the next three laps. Rossi closed the gap by a quarter of second in the last corners but had to settle for second 0.462s, with Rins taking his first-ever win in the premier class championship. The win also marks Suzuki's first since Maverick Vinales' victory at Silverstone in 2016. Jack Miller finished a lonely third, 8.454s behind Rins, three years after his last podium finish at the Dutch TT. Teammate Dovizioso finished fourth after starting at a distant 13th spot on the grid, but moved up the order to sixth on the opening lap. With a finish at P4 the rider bagged enough points to take the championship lead for the 2019 season. Coming in fifth was Franco Morbidelli of Petronas Yamaha in an impressive finish for the team, ahead of Ducati's Danilo Petrucci. Morbidelli's teammate Fabio Quartararo finished seventh with KTM rider Pol Espargaro showing impressive pace to finish eighth in the race. Rounding up the top 10 riders were Pramac Ducati rider Francesco Bagnaia in ninth place with Takaaki Nakagami of LCR Honda finishing at P10. The day ended up in a disaster for Honda that could salvage only a handful of points from the race. After Marquez's crash, Lorenzo's race too ended up as a DNF on Lap 11 due to a mechanical issue. The rider stopped the bike and hopped off at the same spot as Marquez's crash. LCR Honda rider Cal Crutchlow too had a crash at Turn 11 while running third behind Rossi in the initial stages. Aprilia's Aleix Espargaro wa the only non-Honda retirement in the race after crashing on the second lap. Yamaha's Maverick Vinales has a disappointing race after a jump start saw the rider receive a ride-through penalty that saw him dramatically drop in the order only to finish 11th ahead of Aprilia's Andrea Iannone and KTM rider Johann Zarco. Coming in 14th was KTM rider Miguel Oliviera while Avintia Ducati rider Tito Rabat finished 15th. Suzuki's Joan Mir also picked up a similar penalty as Vinales and finished 17th, behind Karel Abraham of Avintia Ducati.